Enjoy the ultimate in West Coast fishing adventures with Sidetrack Charters and your guide, Ron Mallon, on the new "SIDETRACK" R-25 Ranger Tug. Enjoy the ultimate in West Coast fishing adventures with Sidetrack Charters and your guide, Ron Mallon, on the new “SIDETRACK” R-25 Ranger Tug. 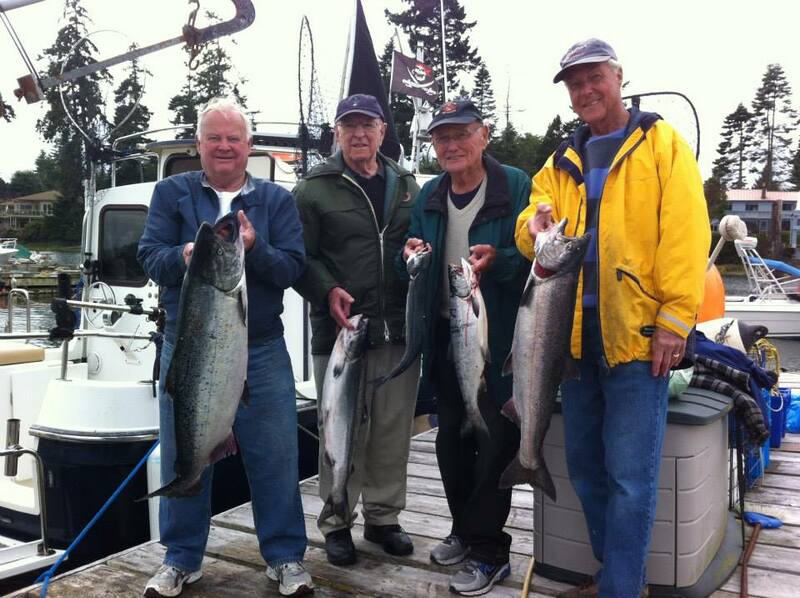 To date, Ron Mallon has fished the Victoria to Sooke area for over thirty years and has owned and operated Sidetrack Charters for over twenty years. With charter priorities of Safety, Comfort and Fun, you can effortlessly indulge in the unsurpassed beauty of Vancouver Island’s coastline and the shores of Sooke, BC. Watch whales, porpoises, sealions, otters, seals, eagles and more. 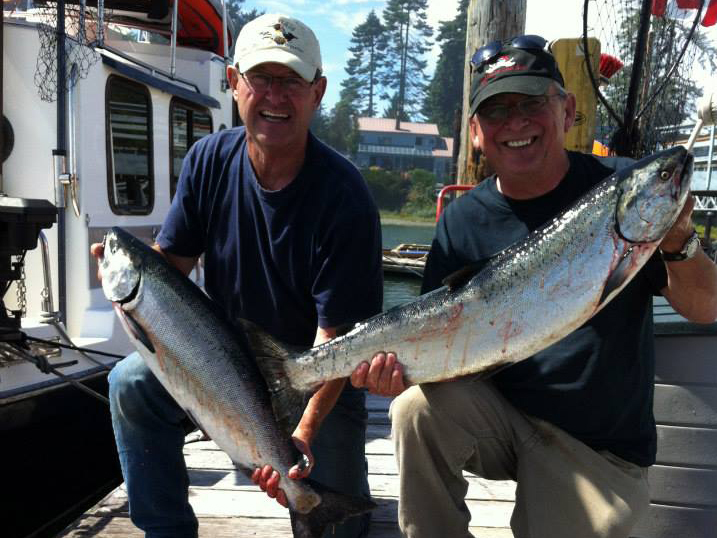 Feel the power and thrill of hooking a Chinook! 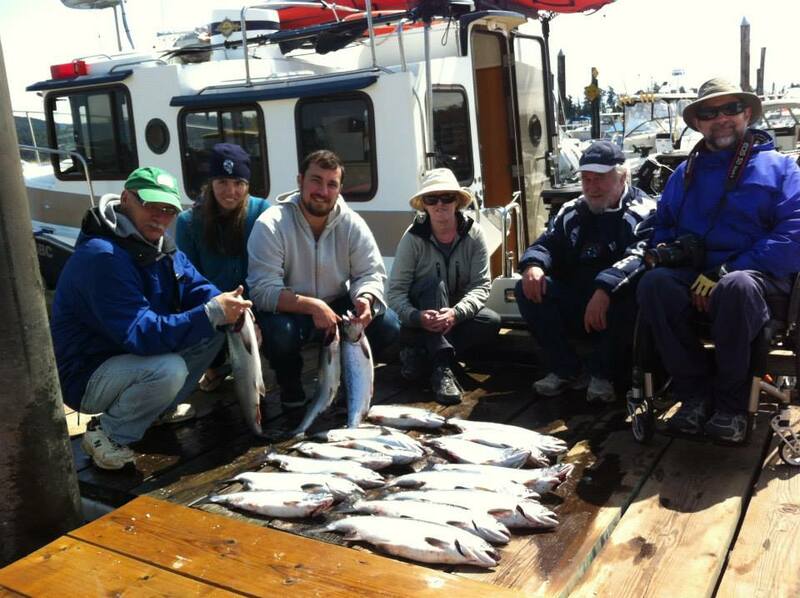 Test your skills handling Cohos and Sockeyes. Reel in Pinks until your arms are tired! Whether you are young or old, amatuer or seasoned veteran fisherman, your Captain and fishing guide, Ron Mallon, will cater to your specific needs. Make sure you experience these wild coast array of things to tempt and taunt the senses. Indulge your senses by viewing the most impressive Canadian Art collections, sampling uniquely local flavours, and experiencing our diverse history. Whether you want to stay in a cozy bed & breakfast, cottage or inn, or upgrade to one of the many extraordinary resorts or vacation homes – we have it all. It’s easy to spend a relaxing or invigorating vacation here. Art, music, and culture. Our region is a hot bed of activity year round. With the Tall Trees Festival, Bluegrass Festival, Sooke Fine Arts Show, our many Art festivals, Canada Day, Festival of trees and the Pacific Rim Whale Festival we celebrate our Island culture and environment. The West Coast Trail is a world renowned backpacking trail. Open from May 1st until September 30th, this gruelling 75 km (47 mi) trek is well worth the challenge for the breathtaking examples of the West Coast of Vancouver Island. Discover the raw beauty and uncharted nature of the CRD. From seasoned backpackers to amateur day hikers you can traverse up to the tallest peaks and back down to the rocky shores of the Juan de Fuca by hiking historical trails. Our Coast has long been inspiration to all kinds of musicians, writers and painters. It is not hard to see why – take a walk through ancient forests with gnarled trees and green canopies, explore hidden creeks and spot eagles taking flight or bears ambling through the undergrowth. To learn more about the region, please contact Sooke Visitor Information Centre at 250-642-6351 or 1-866-888-4748 Copyright © 2019 Sooke Region Tourism Association. 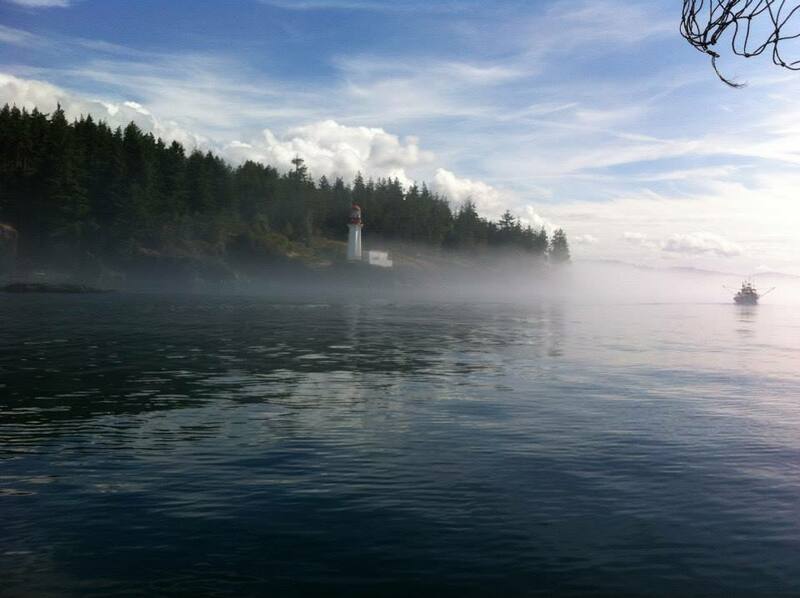 Sooke to Port Renfrew, Vancouver Island. All Rights Reserved. Super, Natural British Columbia is a trade-mark of Destination BC Corp.